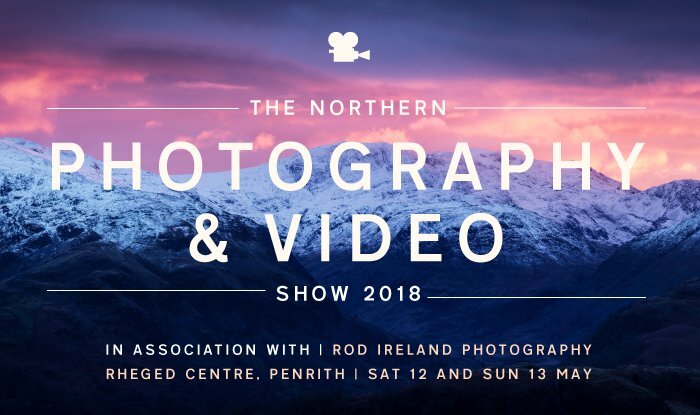 I’ve just finished a really busy weekend, taking part in the Northern Photography and Video Show, held at Rheged, nr Penrith Cumbria. It’s such a fab show, that offers a mix of great talks, hands on workshops and impressive displays from the local camera clubs. There’s also an impressive choice of suppliers you can chat to, including Sony and Leica. It was my second year at the show and this time, as well as having my stand I was asked to do a ‘Beginners Guide to Photoshop‘ workshop. I’ve worked in the digital industry, along side my photography, for over 19 years, so to share some of my knowledge with a fantastic group of people, was just brilliant! The show is the only one of its kind in the North. It offers the chance for anyone interested in photography and video to hear some great talks from some of the UK’s most inspiring photographers and filmmakers. These included the award winning filmmaker Terry Abraham, who chatted about his BBC hit ‘Life of a Mountain’ series. Thomas Heaton shared his photographic journey, from having to sell his camera to pay for rent. While Landscape Photographer of the Year, Benjamin Graham talked about developing style. Local photographer Mark Littlejohn delivered a highly entertaining talk about how the Ullswater Steamers provided him with inspiration. Ann and Steve Toons showcased some of their favourite wildlife images and how they learnt to exploit light. Echibition stands included Mike Prince Landscapes, Natali Barr Photo, Rod Ireland Photography, Sharif Photography Supplies and Simon Whalley. There was also, Sony Centre Carlisle, The Sugar Shed with Alastair Herd Photography and The Guild of Photographers. The show was also a great opportunity to have a chat with the local Cumbrian Camera Clubs. These included Penrith & District, Holme and District Photographic Society, Carlisle, Workington and District Camera Club, to name but a few!